We stayed in Kerung, and the next morning the view was spectacular. This was why I was here and, this was our longest riding day. 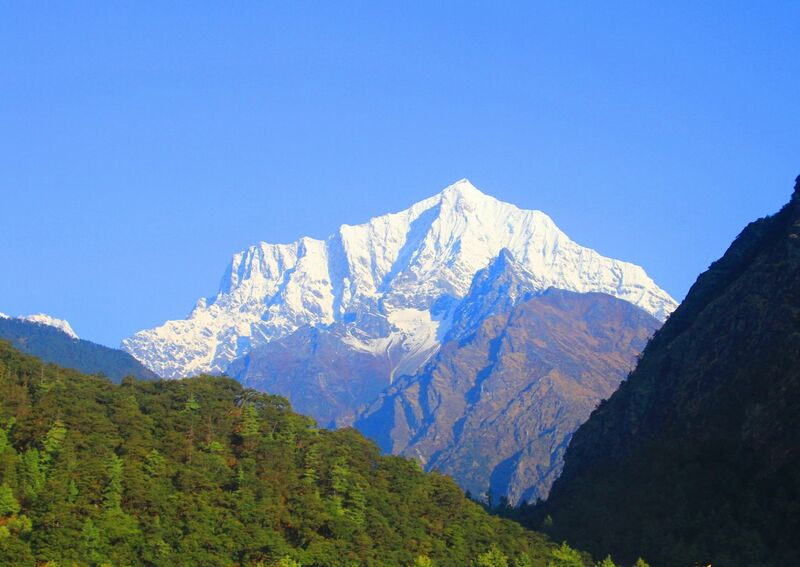 295 kilometers to Tingri and our first look at Mt Everest. The trials and tribulations culminated to this very moment and we were now motorcycling the most majestic mountains in the world. The air was crisp and crystal clear; the smooth double lane road was nestled in green valleys covered in evergreens surrounded by snow-capped mountains that cut straight to the sky. Majestic mountains stood directly before us at 25 thousand feet tall. It was magical. 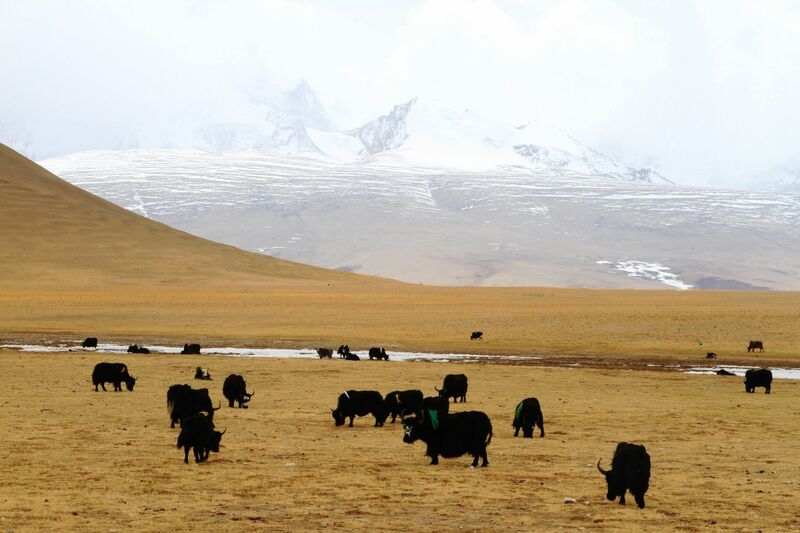 We rode through fields filled with herds of giant yaks, paused to let farmers cross their goats and steeped in the history, mystery and beauty that is Tibet. 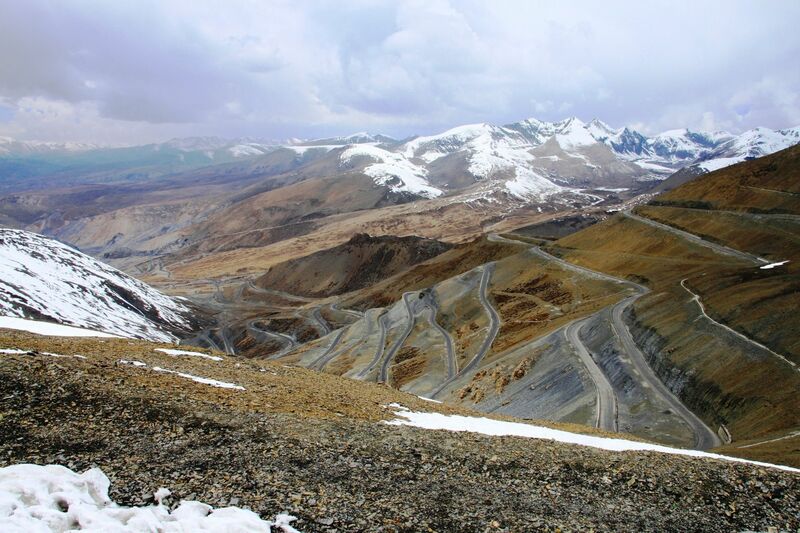 We began the steep ascent of Kerung Pass, one of Tibet’s most notable collections of switchbacks that snake its way up the mountains to an elevation of 17,339 feet. Stopping to soak in this expanse, it was here altitude made is powerful presence. I couldn’t walk 10 steps without losing my breath. How do climbers do this? My energy drained, it was cold and every step was like walking in thick mud. 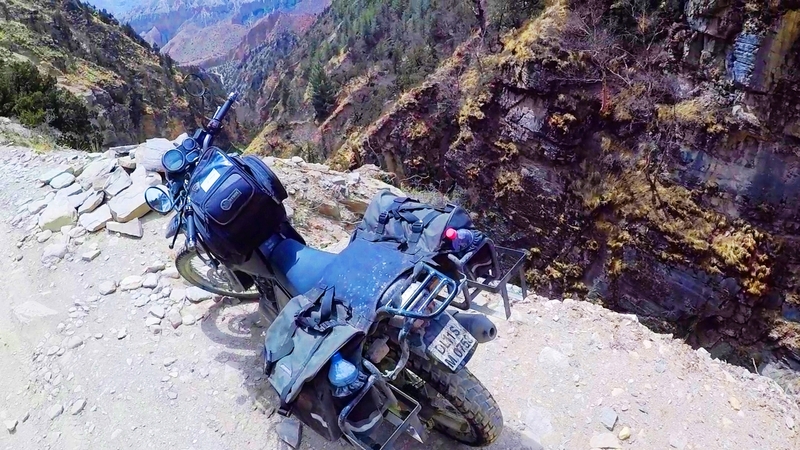 Rob told the team not to linger any longer and I was glad to get back on my trusty Enfield, descending thousands of feet on our journey to Old Tingri. Down to the Tibetan plateau, we still had the longest part of the journey to Tingri ahead of us. Within an hour we came to a tiny Tibetan town full of large modem stoplights for 20 blocks. I kid you not; it was the most absurd sight. This tiny little shanty filled with cows, horses drawn carts and bicycles looked like downtown Manhattan. Rob had never seen this before, in fact there are no stoplights in Kathmandu, and nobody would pay any attention to them anyway. Here we were stuck at every single one of them, with no cross traffic all, it was surreal. Another looming indicator of what China has in store for Tibet. Leaving the bizarre scene we pulled into a large modern gas station. 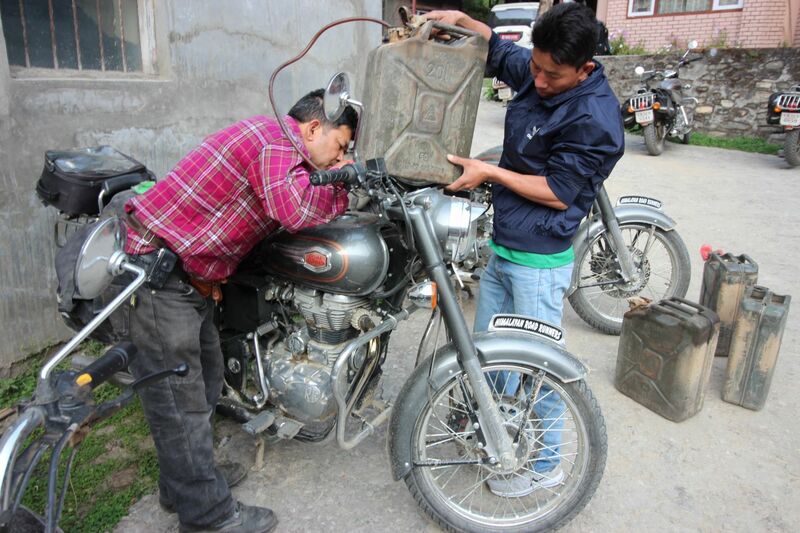 The motorcycles needed gas to get to Tingri. As we lined up Rob waved us to pull off to the side of the station. “They won’t give us gas, Rob growled, we don’t have a government permit.” We were informed that the purchase gasoline by foreigners now required a special permit obtained at the new Chinese border. Rob actually had enough gas to get us to get Old Tingri but it would be tight, real tight. Why couldn’t we get gas? 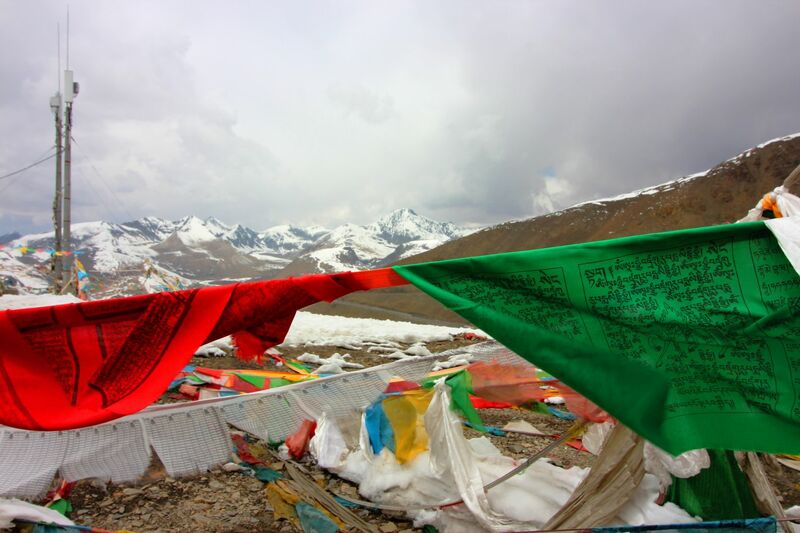 The Chinese government here was afraid gasoline would get into the wrong hands and be given to Nepali Monks and they would use it for self-immolation in protest of Chinese occupation. Wow, that’s heavy. We took this time to clean out air filters, replace a few bit and pieces, my rubber foot peg had fallen off and another rider’s starter needed fixing. During all this the young smiling gas station attendant was hanging around, we joked with him exchanged few American dollars to yen which thrilled him to no end. He started asking me questions about my bike, I don’t speak mandarin but we seemed to understand each other, and then I pointed to the gas tank, “Gas, I blurted loudly, we need gas!” He looked me directly in the eyes and said in perfect English “How Much?” “For all the motorcycles.” I replied. He pulled me over to the pump and started filling a large canister with a spout. “Hey everybody! I yelled to the group, we are getting gas, get over here now!” Pandemonium ensued; the young attendant was gleefully topping off every bike. I had unwittingly negotiated a peace treaty between China and Tibet and was granted safe passage to Old Tingri; The Nobel Prize was surely mine.